1 Peter 3:15 "but sanctify Christ as Lord in your hearts, alwaysbeing ready to make a defense to everyone who asks you to give an account for the hope that is in you, yetwith gentleness and reverence". 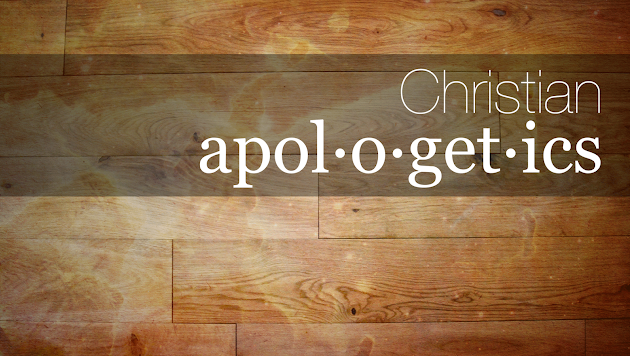 With the mandate made clear from yeaterday's post regarding the importance of apologetics, the next important area has to do with how to go about doing apologetics. Several methods of defending the Christian faith have been proposed through the more than 2,000 year history of the Christian church. Today's post focuses on one of those methods - so-called "Classical Apologetics". The reason why this method is called "classical" is because it represents in one way or another the manner in which Christians have defended the Christian faith since the centuries following the Apostles. At the heart of this method is the notion that Christianity is the only reasonable worldview - hence faith and reason are viewed as friends rather than foes. d. The evidence for design in the universe (also called the telelogical argument).